Ornate Victorian House built for millionaire cattleman-banker, Robert E. Stafford (1834-90). One of organizers of Columbus Meat & Ice Co. Stafford built home and opera house in the same year, 1886. By design, he could sit in his bedroom and see opera house stage performances, next door. 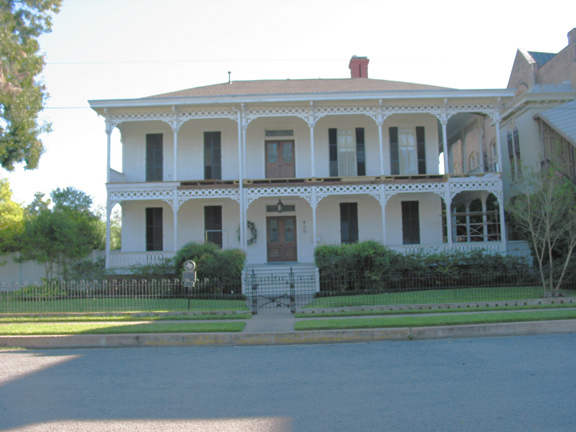 Home lost a cupola in 1909 hurricane; it was owned by the Staffords until 1915, then sold to Mrs. Helena Miller, whose descendants still preserve it.